recommended for: Fans of Alice in Wonderland, The Night Circus by Erin Morgenstern, Pirates of the Caribbean, RoseBlood by A.G. Howard, and magic, pure magic. If you haven't heard glowing things about this debut, then you might quite possibly live under a rock. 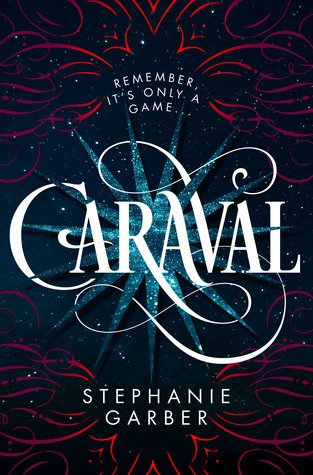 Caraval was a sensation months before its release, and only stands to take over the YA world in January--with good reason. It's a tightly-plotted, gorgeously written fantasy that draws elements of The Night Circus, Alice in Wonderland, and even Pirates of the Caribbean into one astounding story. But don't let the comparisons box in your view. Caraval shares some atmosphere and style with these titles, but it goes far beyond its predecessors, leaving an impression that is unforgettable and quite its own. It's a tale of two sisters. There's Scarlett, good and inhibited and idealistic. Her unnamed fiancee is a ticket away from her abusive father, for her and her sister. There's Tella, flighty and pragmatic and bold, who sees escape in a different kind of ticket. One to Caraval, the legendary five-day theatrical game where the lines between game and reality, players and playactors, blur. When Tella vanishes and becomes the prize of the game, Scarlett must find her before their father knows they're gone, and the marriage that contains all her hopes is ruined. And that's where the fun begins. What first seems a matter of merely returning home before they're missed soon becomes dangerous as Scarlett learns more about the game. About Legend, the gamemaster with a dark past. About Julian, the questionably reliable sailor who allies himself with Scarlett with uncertain movies. About the people who die, who go mad, whose lives suffer very real consequences from what is meant to be an elaborate fantasy. Or is it? Stephanie plays with the reader as much as with Scarlett, dangling clues like candy and forcing you to question everything you think you know. You'll make your guesses, think you know the answers, and she'll deceive you again in the cleverest ways. It's a massive, heart-stopping, breath-stealing mystery that's impossible not to race through in one sitting. More than that, it's an experience. Stephanie's mastery of her world is evident from the first page. She describes the scenes, the outfits, the people, the magic, in such vivid, cinematic clarity that I could see Caraval in my mind's eye as clearly as if I were in it. Not to mention, the atmosphere! You know that feeling you get when you first step into Harry Potter World, or Disney, or a really wonderful stage play, and you're breathless and bubbling over with hilarity and a tingly, expansive sense of magic? That's what reading this book feels like. Like being on an adventure. Like being in a fairy story. Like flying. If I had to complain, it's only that this book could never be long enough. I also admit, some of the initial glamour and WOW-factor was sidetracked once the focus pulled away from the game towards the actual revealing of secrets. But it's so minute a criticism, I don't want to spend much time harping on it. Really, I just wanted to live in this world forever. I want everything, every rich and luxurious detail of Caraval's enigmatic fantasy island, every clue and mystery and side character. Nothing could ever be enough to satisfy my craving for Stephanie's writing and world. But that's what rereads are for, and Scarlett's story stands stolidly on its own. She undergoes so much growth through the pages, in her own confidence and desires, in the way she relates to other people--Julian, whom she likes too much but is afraid to trust; Tella, who pulls both for her love and resentment, and all the shades of emotion a sisterly bond can offer. I loved seeing her come into her own. I loved how Stephanie let us get to know Tella even though she wasn't always present. How she let us come to know Julian, Legend, even Scarlett's father and fiancee, even the side characters, as real and wondrous people with their own stories. I loved how she created a world in which I could believe that you could fall in love in five days, because sometimes, magic happens. And that ending? Everything I hoped and expected and so many things I would never have expected but that were so much more satisfying that what I could have guessed. In short, mind-blowing. 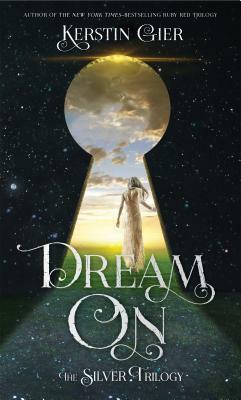 I'm running out of words, and I could never find the right ones to capture what this book makes you feel and dream. You just have to experience it for yourself. I've already pre-ordered two copies, and they couldn't come too soon. Have you ever heard of Theater Bizarre? Because I went to it before reading this and it's the same feeling of being subsumed by fantasy. It was a feeling I never thought could be duplicated...until I read this book. Caraval is a massive, magical, heart-stopping, breath-stealing mystery that's impossible not to race through in one sitting. will i read this author again? Yes! Now please? How about now? will i continue the series? I need the companion book like AIR. Note: I received this copy from the publisher in exchange for an honest review. The price of the book and its origin in no way affected my stated opinions.